Introduce your kindergarteners to major Bible stories and help them better understand God’s Word as you study the Bible in chronological order. The One in Christ kindergarten materials include a full-color Teacher Guide with easy-to-use lesson plans for 36 weekly units and 144 lessons designed to be taught over the course of the school year. Each lesson may be taught in approximately 35 minutes. A must-have for early childhood program directors! Includes resources for developing a nurturing Christian early childhood program and explains how to use the One in Christ materials. Also includes learning standards. Reinforce weekly lessons with engaging activities and stickers inside nine colorful Bible story books. Each unit has a separate student book, providing students with a collection of keepsake Bible story books at the end of the year. 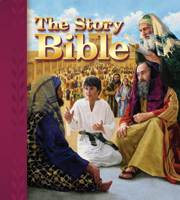 Each book contains four Bible stories that families can read together. This beautifully illustrated Bible contains a collection of Old and New Testament Bible stories plus discussion questions, learning activities, prayers, and more to engage parents and children in Bible learning at home. Build your classroom library with titles from two of our most popular children’s books series! 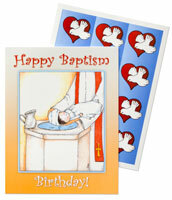 Share God’s love with His children through rhymes and engaging pictures. Arch® Books reinforce many of the stories that are included in the preschool and kindergarten levels. Visit cph.org/archbooks to see all 130 books, plus 40 Spanish titles!